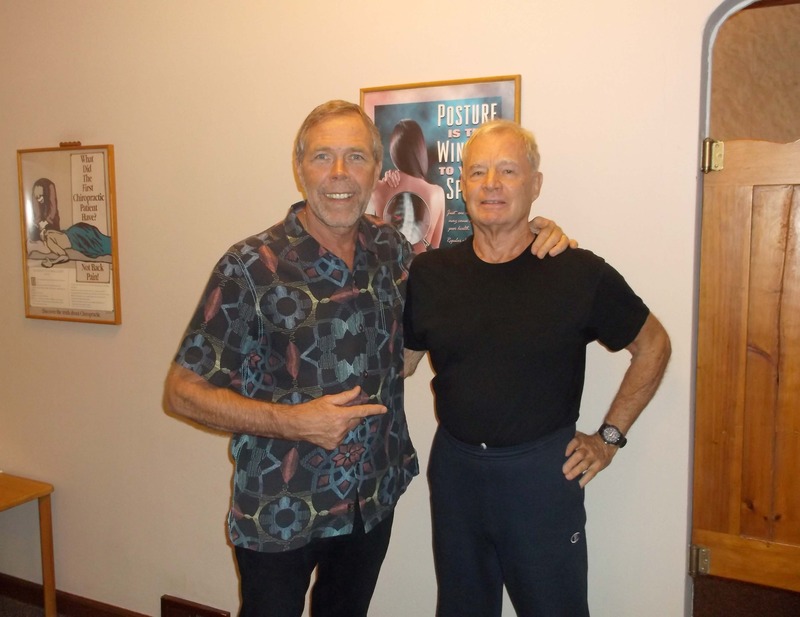 I have known CLEAR Scoliosis Institute founder and CEO Dr. Dennis Woggon for many years. When I interviewed him for an article about his research and work in the non-bracing, non-surgical treatment of scoliosis, I never expected to personally need to be treated by him. I knew I had a badly damaged spine from years of cumulative traumas, but had not realized just how bad it had become. My years of high volume practice as a chiropractor had taken their toll on my own spine, as had multiple injuries sustained over decades of water skiing, surfing and boating. The past several years spent living and practicing in the rugged out islands of the Bahamas was harder on my spine than I anticipated that it would be. Regularly commuting by boat to see my patients on other islands, often in very rough seas and in the dark is challenging to say the least. While I love boating and do not usually mind rough water, there were many times when I went out in weather that I would have preferred to see from shore. Crashing through big, breaking seas is bad enough. But securing a large, heavy boat to a dock while wind and waves are working against you is like wrestling with a 6,000 pound bucking horse! Worse yet were the times when I had to anchor in huge seas to avoid crashing on the nearby rocks while I did an repair on an engine that had died. And yes, that happened more than once! Such were the realities of my life in the islands. When finally my pain was so unrelenting and severe that I could not do the day to day things my life demanded, I flew to the States and had some good X rays taken. The net result of all those years of cumulative trauma was a spine so severely damaged it was hard for me to look at and acknowledge as my own. The damage can easily be seen on the X ray of my lumbar spine in the picture below. Even the untrained eye can see the serious misalignment and partial collapse of my third lumbar vertebrae. So serious was that misalignment and resultant scoliosis that any worsening could have easily caused irreparable spinal cord damage. Seeing this, I asked Dr. Woggon to look at the X ray and to give me his opinion of my treatment options and prognosis. That was an offer I couldn’t refuse. A month later, I arrived at The St. Cloud Chiropractic Clinic and Clear Scoliosis Institute to begin intensive treatment, five hours a day for five full days. I could not help but be impressed, the moment I entered the 9,000 square foot clinic. The staff is warm, friendly, efficient and very well trained. They also obviously love their jobs, and are proud of the work they do and the results that they assist Dr. Woggon to achieve with his patients. The clinic itself is highly organized, designed and equipped for its very specialized purpose, without being cold and sterile. The various treatment areas are large and spacious to allow several patients to be treated at the same time on different pieces of equipment while being overseen by the staff. Prior to traveling to Minnesota I had MRIs taken of my cervical, thoracic and lumbar spine. I then sent them to Dr. Woggon so he could review them in advance of my arrival. MRIs, while valuable to detect degenerative changes and pathology, do not provide the kind of information necessary to measure and analyze the precise nature and details of a scoliosis. That information can only be provided by a precision biomechanical engineering analysis of X-rays taken with specialized equipment. My first morning at the clinic began with very extensive and detailed chiropractic, neurological and orthopedic examinations, followed by a series of precise spinal X-rays using specially aligned equipment to produce distortion free images so that he could properly analyze my condition. I have in fact never seen any doctor perform as thorough an examination. My first afternoon session began with Dr. Woggon giving me a full report of findings. In this report, he explained all examination and X-ray results and measurements of the spinal misalignments. He then outlined his treatment plan designed to obtain maximum correction. The treatment protocols used at the CLEAR Scoliosis Institute are the product of Dr. Woggon’s decades of practice and research. They are highly specialized, requiring equipment designed or customized by him. A day of treatment at CLEAR consists of a morning and an afternoon session, each taking approximately 2 ½ hours. A round of treatment consists of ten separate stations, each is precisely designed and timed to address the exact configuration of the scoliosis. Part of each treatment session is a spinal adjustment by Dr. Woggon himself. That means that twice in every treatment day he personally evaluates and monitors the patient’s progress and performs a specific spinal adjustment. Adjustments of the lumbar and thoracic areas of the spine are done manually, but the cervical area is adjusted with an Arthrostim® which is a hand held electronic adjusting instrument. The reason for this is that the cervical spine requires a higher level of precision that can best be provided by instrument. Dr. Woggon has taken precision adjusting of the cervical spine to a whole new level. The first adjustment is monitored in real time using Digital Motion X-ray – in other words, a motion picture X-ray. This allows him to see how the spine reacts to the adjustment as he does it, assuring him that it is having the desired effect. 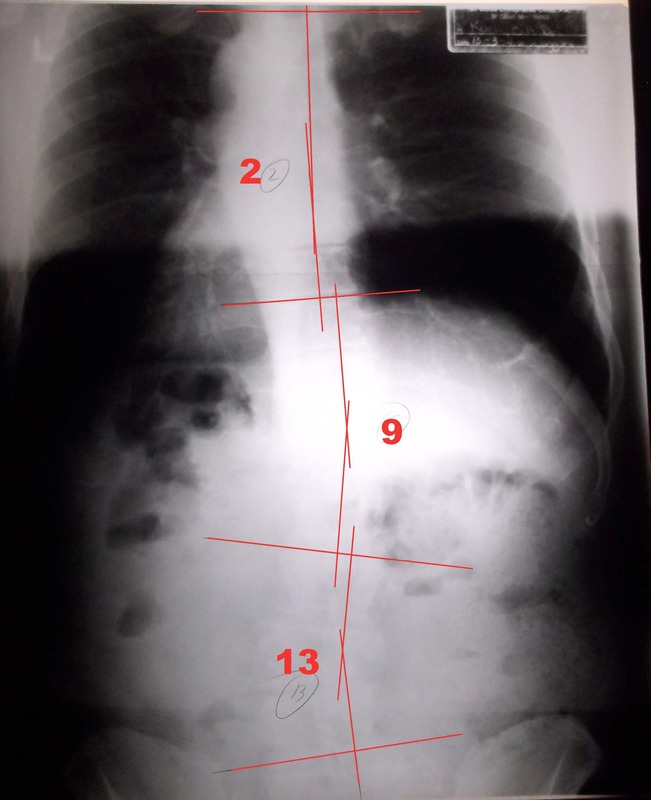 Spinal correction using Digital Motion X-ray (DMX) is unique to The Clear Scoliosis Clinic and constitutes the high water mark of scientific chiropractic correction. The information and data that Dr. Woggon has accumulated in his seven years of using DMX has better enabled him to teach his work to other Chiropractors and certify the one hundred and forty doctors who are currently qualified in the use of his protocols. When I expressed concern about the amount of radiation exposure the patient would receive in the initial and follow up visits using the DMX, I was amazed to learn that the intensifying screen that picks up the image of the patients spine is 28,000 times more sensitive than standard X-ray screens. That means eight minutes of exposure would subject the patient to less radiation than one standard spinal X-ray. It must however be noted here that Dr. Woggon views the patient with the DMX for seconds, NOT MINUTES, so X-ray exposure is minimal. My week of treatment At the Clear Scoliosis Institute was very intense but not at all unpleasant or painful. This is confirmed by the fact that my rotations through the clinic were shared by two other people, a three year old girl with a severe scoliosis and visible deformity, and the other a small frail seventy seven year old woman with a scoliosis that occurred late in life as the result of a bad fall and neck injury. Not once during the entire week did I hear a word of complaint or expression of pain from either the child or the woman. Although the equipment and treatment might look intimidating, it is in no way something to be feared. At the end of my week with him, Dr. Woggon reexamined me and did comparative X-rays and measurements to determine the amount of correction he had achieved. Below see my pre-treatment X-rays showing the spinal analysis and Cobb angles compared to the same X-ray views taken post treatment only a few days later. They confirm an 80% measurable correction of my scoliosis. That degree of correction is unheard of by any other method of treatment in any time frame, but especially after only a week of treatment. Although I was considering quitting practice, I now have hope and at 69 years I am looking forward to the future and practicing again! During my time with him, Dr. Woggon shared some of his important research findings with me. When the majority of people are diagnosed medically with scoliosis, it is said to be idiopathic, which means of unknown origin. This means that unless spinal X-rays clearly show congenital deformity or evidence of spinal trauma, which was true in my case, the scoliosis is said to be of unknown origin. However, Dr. Woggon does not agree with the “idiopathic” diagnosis. He has found that in most cases referred to as idiopathic, there is indeed an identifiable cause. The statistics he has compiled over the course of several decades of research clearly show a connection between scoliosis and birth trauma that has caused damage to important stabilizing ligaments of the upper cervical spine as well as adversely affecting the spinal cerebellar tracts of the central nervous system. These important nerve pathways control muscle balance, control and coordination as well as blood distribution. The full implication of the importance of this kind of birth injury to the neck cannot be overstated, but a complete discussion is very technical and beyond the scope of this book. 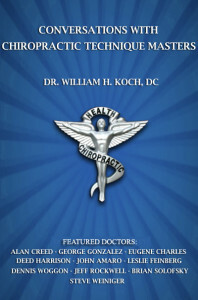 For those interested in learning more please contact me at Dr.Bill@DrWilliamHKoch.com or contact the CLEAR Institute at [need good contact link for more information about this subject]. The important thing for my readers to know is that these birth injuries are almost never recognized in medical circles. 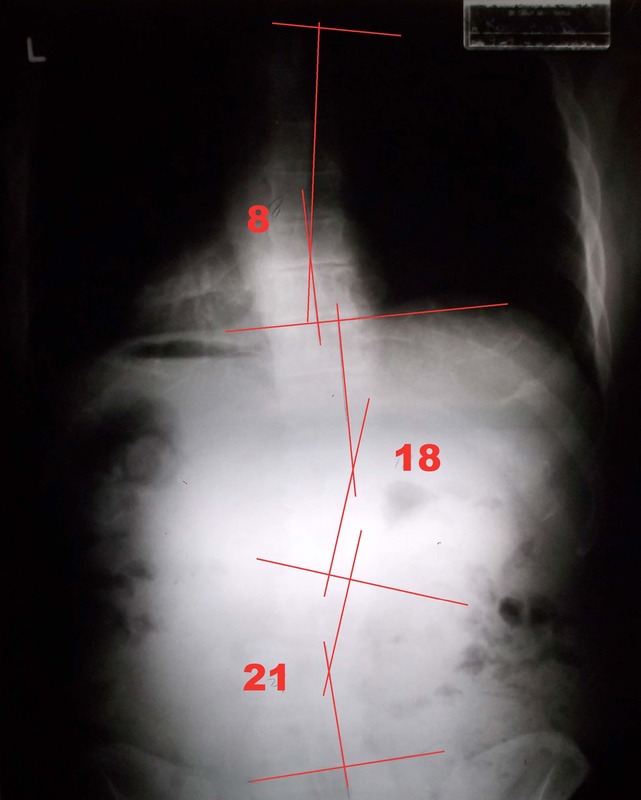 Even when they are undeniably demonstrated, the connection between neck injury at birth and scoliosis is denied. Especially by obstetricians fearing liability. Dr. Woggon’s research findings are so specific and conclusive, however, that he can accurately predict whether a right or left handed obstetrician delivered a child who later developed scoliosis. This is based on which ligaments were damaged and the known technique used by obstetricians to assist in the presentation of the baby’s head and shoulders. The usual medical advice to the parents of children who are suspected of beginning to develop scoliosis or who already have a confirmed scoliosis diagnosis is to “watch and wait to see if it worsens.” This is without a doubt bad advice. Time is critical. Untreated, scoliosis will worsen as the child grows and gains weight while the spine buckles progressively under the force of gravity. The ideal time to begin corrective treatment is well before the pubescent growth spurt. While never too late, the best chance for maximum correction occurs the sooner scoliosis is diagnosed and treatment is begun with a Clear Scoliosis Institute Certified Chiropractic Physician. For more information, please go to www.clear-institute.org or call the CLEAR Scoliosis Institute at 866-663-7030. For more information on Digital Motion X-ray and examples go to www.drwoggon.com.